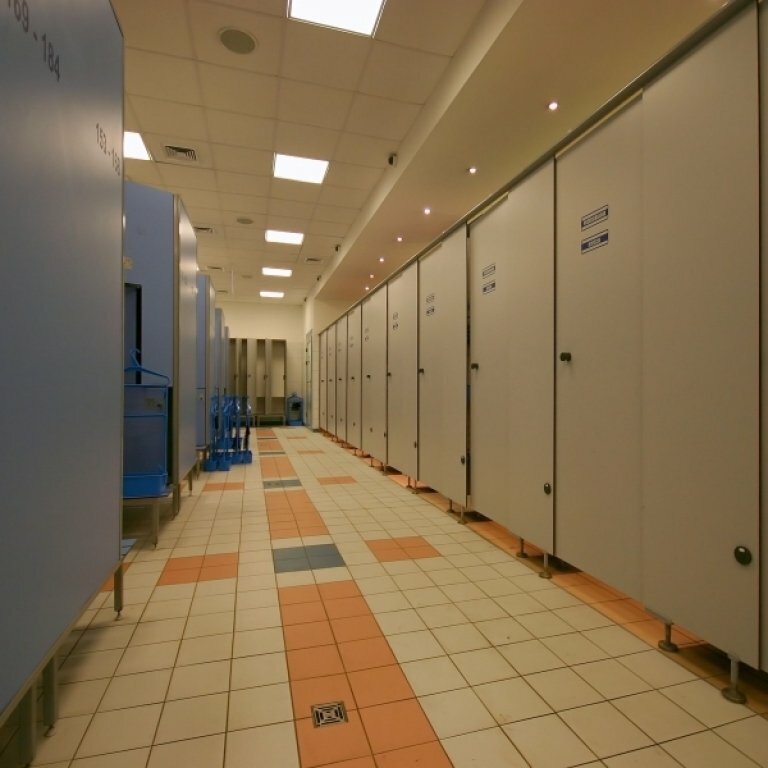 ﻿ Swimming pool changing rooms - HPL sanitary cubicles, lockers and furniture | ATJ System Sp. z o.o. ATJ System Sp. z o.o. 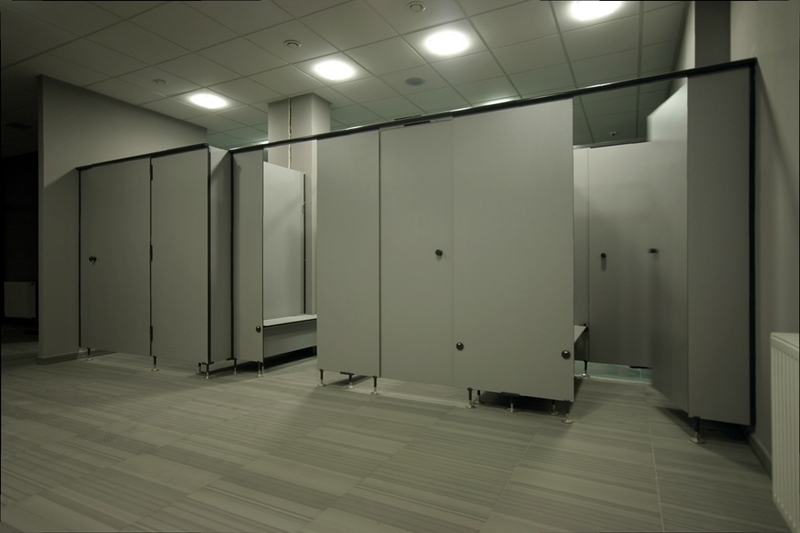 ATJ-Basic sanitary cabins, toilet cubicles and shower booths are a system of spatial development of sanitary rooms with the use of partitions made of 10-mm thick HPL COMPACT high-pressure laminate, propped up on supports (adjusted according to the type of facilities). 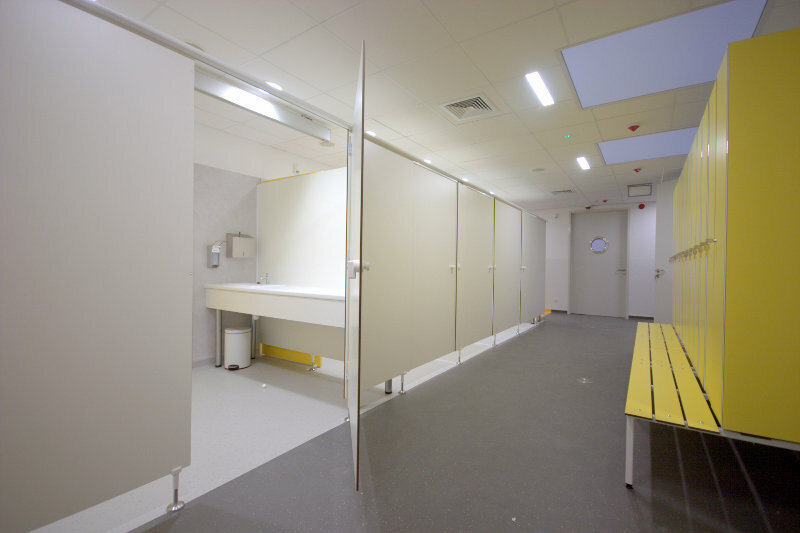 Toilet cubicles in preschools differ from standard cabins in the height of the walls and doors. Fronts of full height are connected with an aluminium profile. 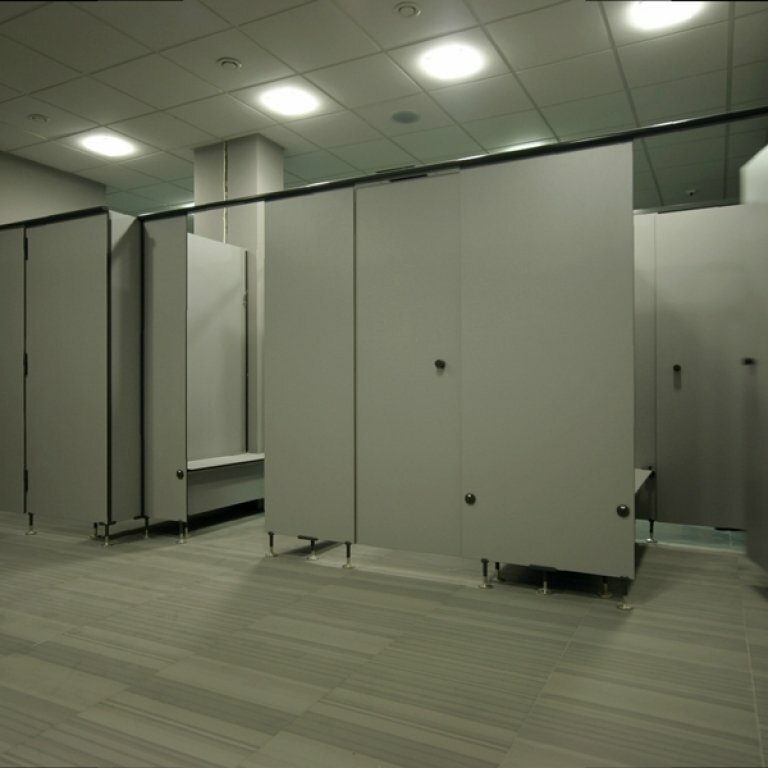 The cubicles intended for young children are not fitted with locks - doors are equipped with knobs. Profiles and supports are of standard design. 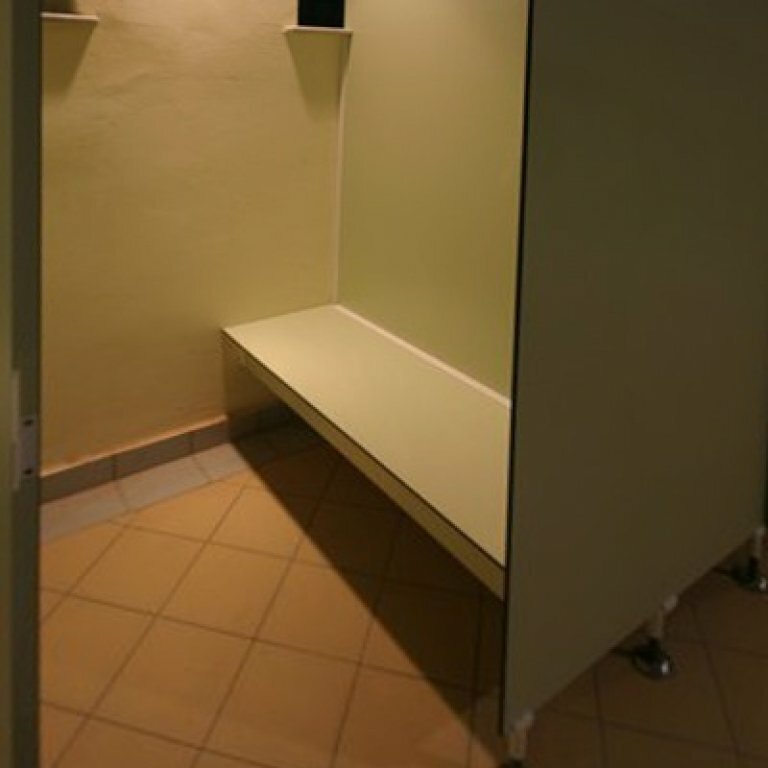 The dimensions of cubicles for preschools: the height of the wall is approx. 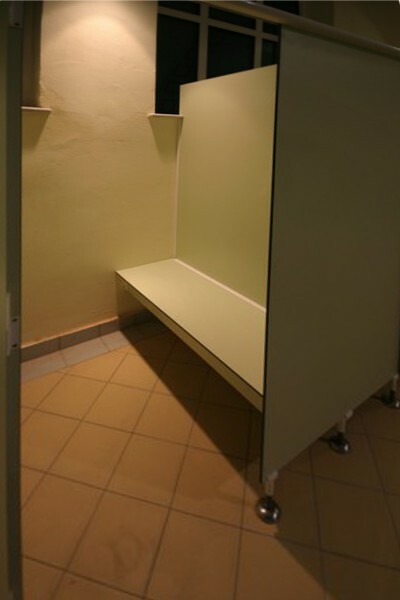 120 cm from the floor, the cubicle is up to 130 cm deep. 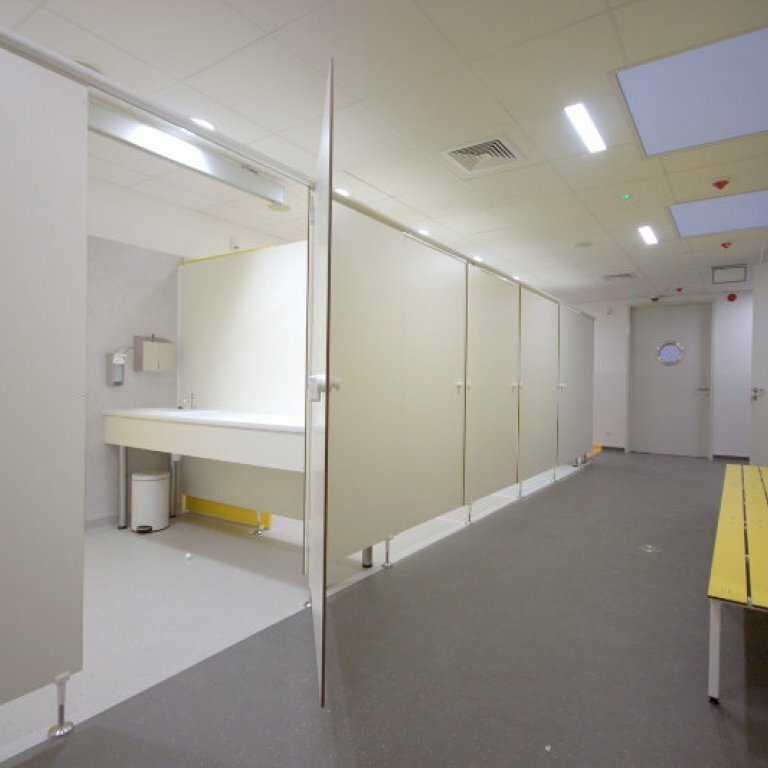 THE PARTITION-WALL SYSTEM that we manufacture, including the partition-wall system made from high-pressure laminates (HPLs) intended for rehabilitation rooms, can be adapted to any room. It is easy to install, convenient to use and maintain. 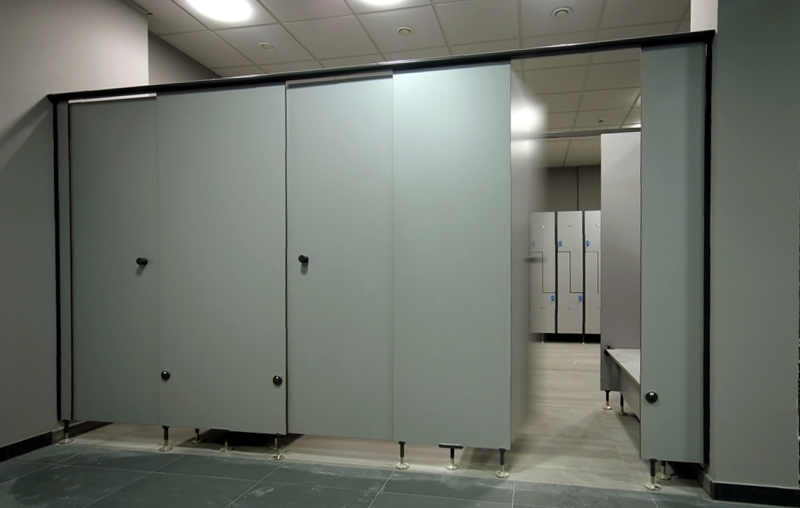 Standard changing rooms have a pair of doors (entry and exit doors), opening to the inside. Two locks with a knob, connected to each other with a pin placed under the bench make it possible to open and close the door at the same time. They have the possibility of emergency opening from the outside and are provided with the cab busy indicator. 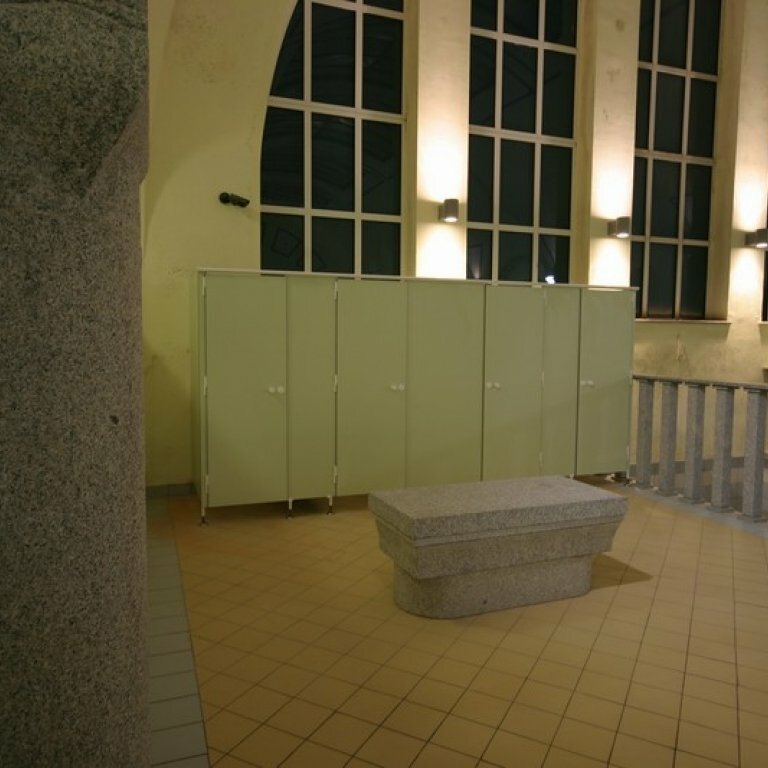 "Transition changing rooms", i.e. 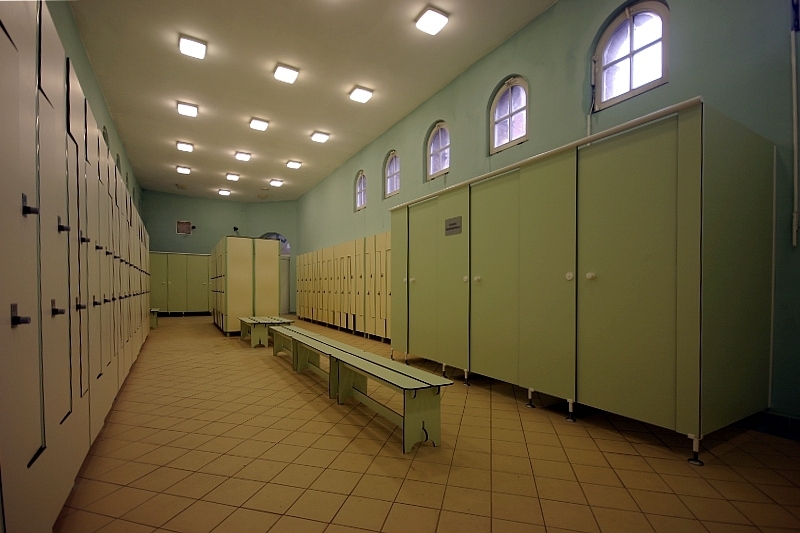 cabins which lead to another room (mostly the locker room equipped with lockers) are the most practical and popular ones. 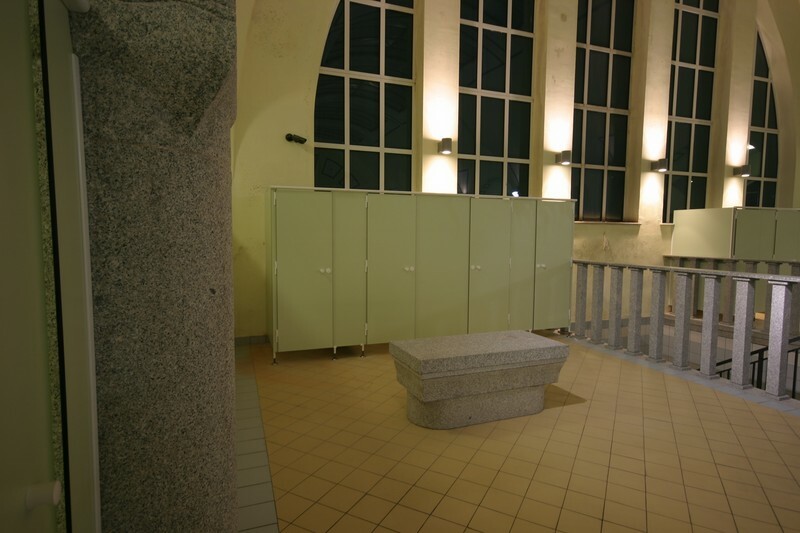 Other changing rooms do not differ from usual sanitary cabins with a single door or curtain. ATJ-Classic system lockers are waterproof, modular clothes lockers, combined in sets of any length, made entirely of high-pressure laminates (HPLs), on the aluminium profile structure. 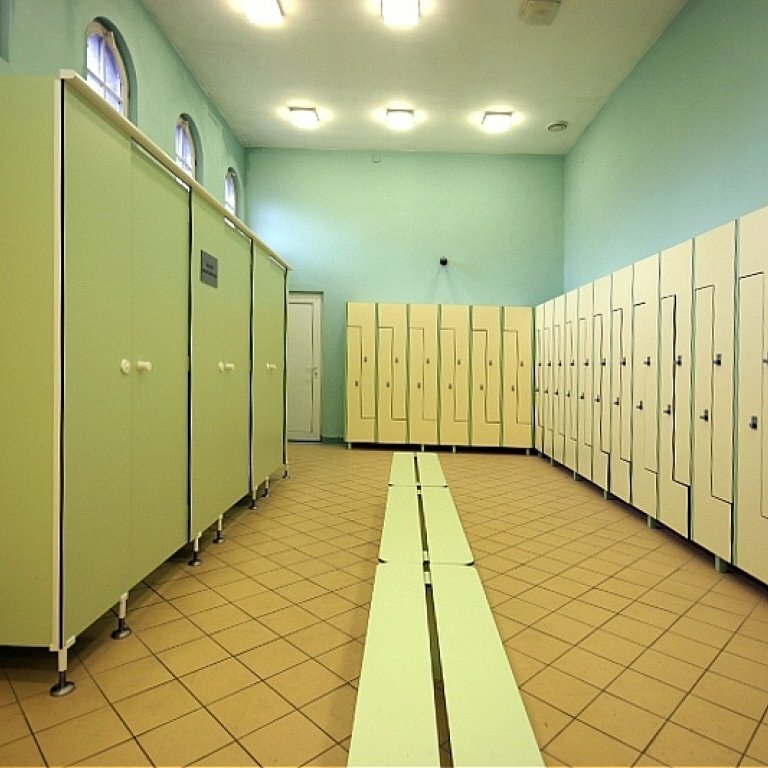 Lockers can be produced in a version with furniture feet or on benches, depending on the purpose of their use (lockers for swimming pools, workplace and safe deposit lockers, or other types) as a single- or multi-compartment ones. 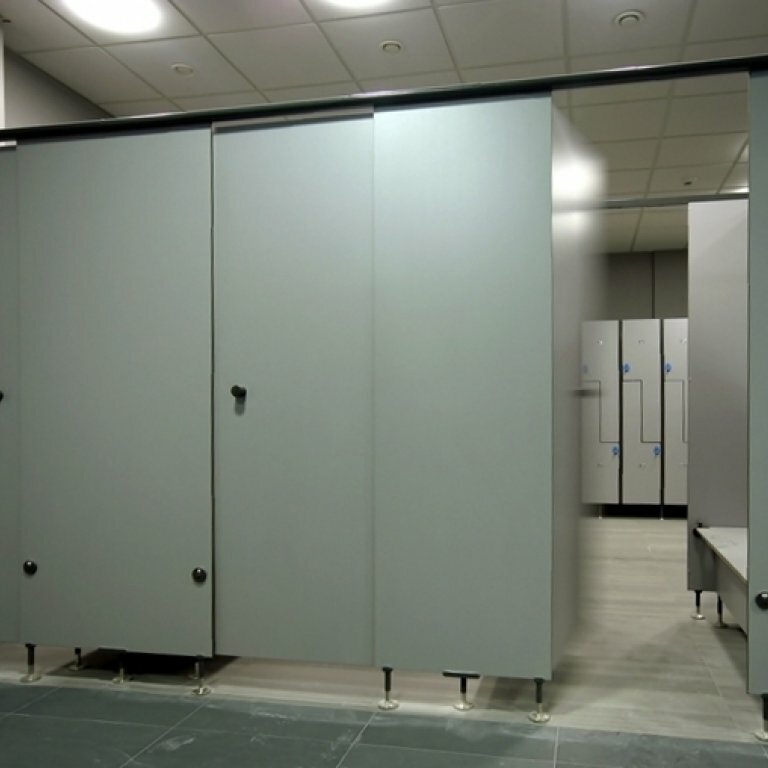 With our many years of experience in the manufacture of laminates we developed a system of school and clothes lockers which we would like to offer to educational institutions as an alternative to currently existing steel cabinets. 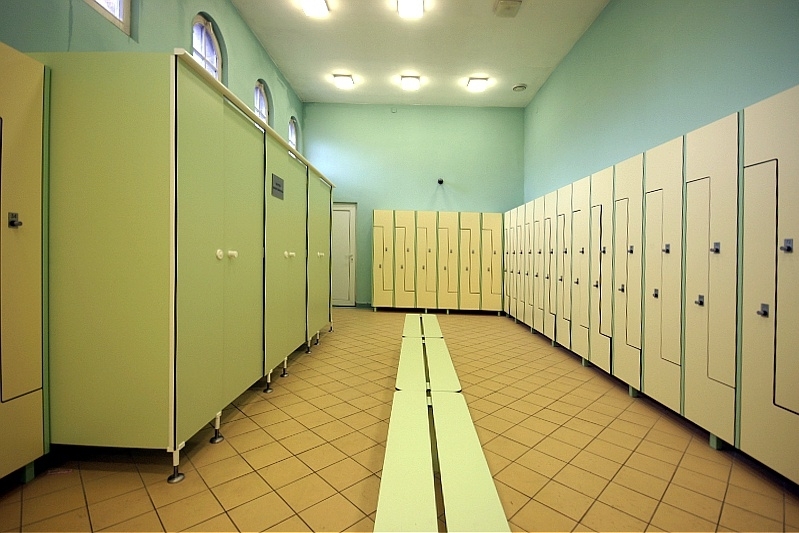 HPL school lockers are more durable, hygienic and non-corrosive. 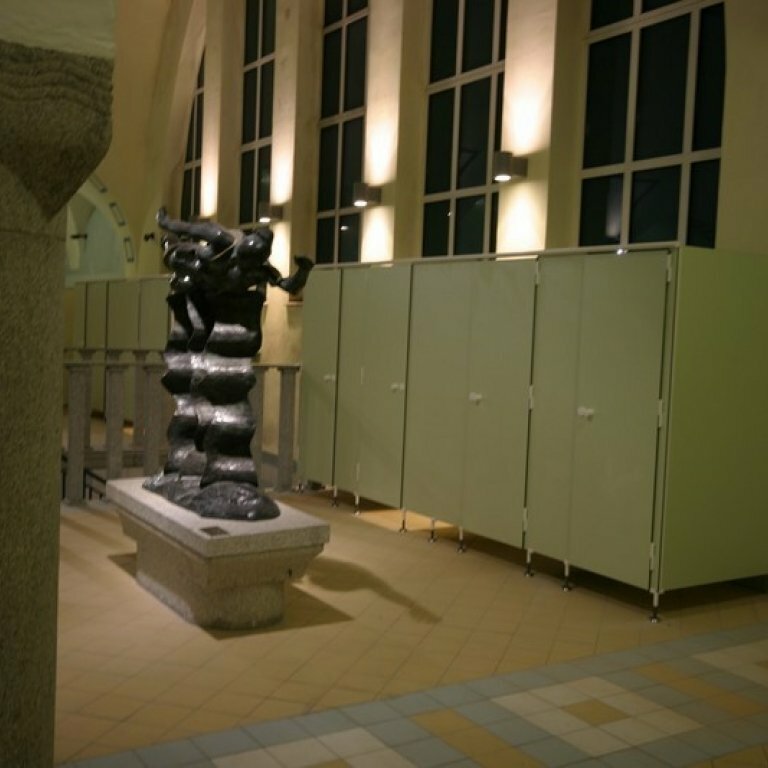 The offer for sanitary facilities and locker rooms is supplemented by urinal partitions, HPL washbasin countertops and benches. 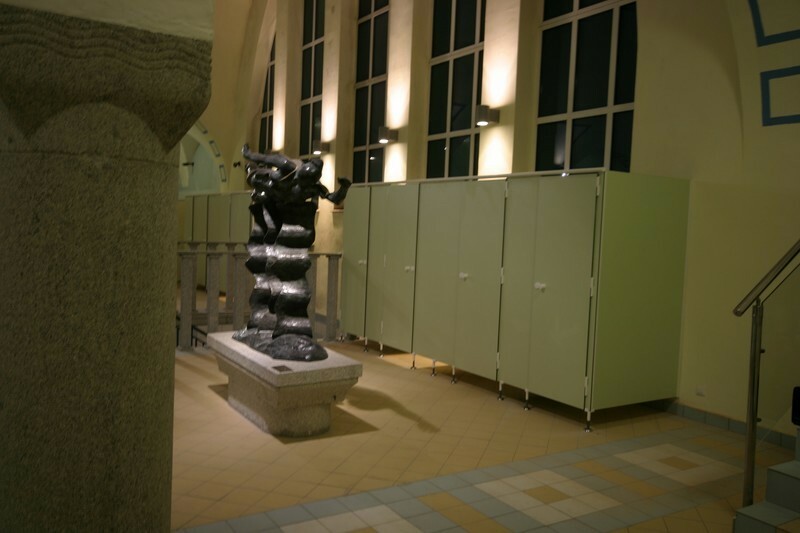 Urinal partitions are made from the same material as toilet cubicles and sanitary cabins: they are mounted to the wall with an aluminium profile system (any RAL colour) and supported by feet. This product is durable and aesthetic, very easy to keep it clean. Technical parameters of HPL COMPACT such as its unusual strength and hardness, aesthetics, water resistance, ease in maintaining cleanliness are the qualities that argue in favour of the use of the COMPACT laminate, despite high costs, to manufacture office furniture, especially for the use in modern or even avant-garde office space. This material is invaluable in areas with maximum hygienic security because no bacteria or fungi grow on the surface of the laminate, and resistance to chemicals and disinfectants makes it easy to use furniture and walls made from it. ATJ System Sp. z o.o. was established several years ago to promote the domestic market system solutions based on high-pressure laminates HPL COMPACT. We are constantly expanding our offer - we are open to cooperation with other companies. With the purchase of a modern CNC machine we now have broad capabilities for processing of different types of materials, including HPLs. We provide services in the field of cutting, formatting and special processing: cutting intricate shapes, milling, punching, engraving, etc. 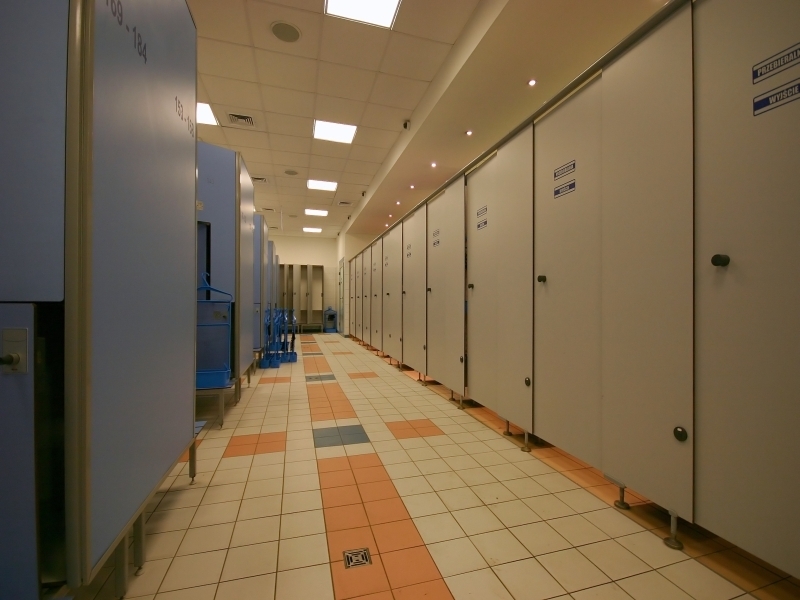 Swimming pool changing rooms are HPL system stalls adapted to specific user requirements. Front panels and partitions of swimming pool changing rooms are propped up on supports, connected together and attached to the walls with aluminium profiles. The whole structure is made rigid and stable by upper special joining profiles. Supports and other elements (including screws) are made of stainless steel. 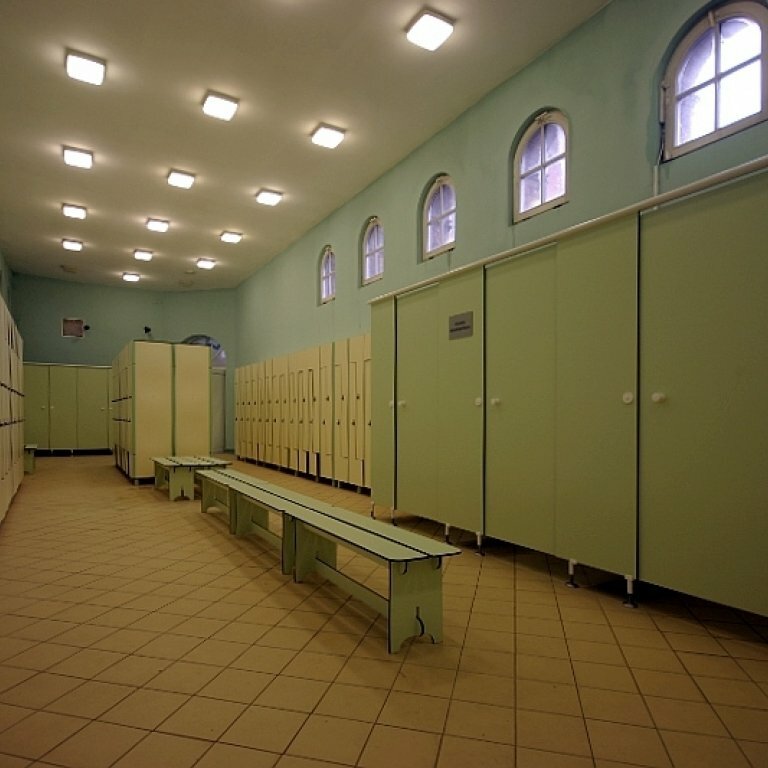 Swimming pool changing rooms are usually custom made and fitted with furnishings and fixtures according to investors’ needs with such things as a free standing bench if the changing room is not a transition changing room, clothes hangers and racks, a mirror, etc. © 2017 ATJ System. Wszelkie prawa zastrzeżone.